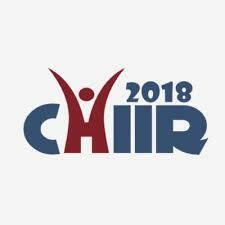 The ACM SIGIR Conference on Human Information Interaction and Retrieval (CHIIR), pronounced "cheer", provides a forum for the dissemination and discussion of research on the user-centered aspects of information interaction and information retrieval. 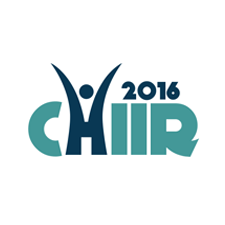 CHIIR focuses on elements such as human involvement in search activities, and information seeking and use in context. 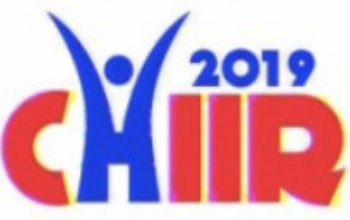 The conference represents a merger of two successful events: the Information Interaction in Context conference (IIiX) and the Human Computer Information Retrieval symposium (HCIR), which have run since 2006 and 2007 respectively. IIiX has traditionally attracted more attendees interested in information searching behavior and interactive IR, and HCIR has traditionally been more focused on search user interfaces. CHIIR builds upon the combined strengths of these events, placing an emphasis on human interaction with information, information seeking contexts, and user-centered approaches to information retrieval, access, and use. In addition to studies of interactive systems to support information interaction and retrieval, CHIIR also encourages submissions on related topics. These include human-human information interaction, novel interaction paradigms, new evaluation methods, and research that draws upon related work in a range of communities such as sociology, ethnography, psychology, and human-computer interaction. We expect that accepted papers will contain rigorous evaluations of any new methods or measures that they propose, using techniques such as laboratory studies, field experiments, qualitative research designs, simulations of search behavior, or log analysis. General Chairs: Diane Kelly and Rob Capra. General Chairs: Ragnar Nordlie and Nils Pharo. General Chairs: Chirag Shah and Nick Belkin. 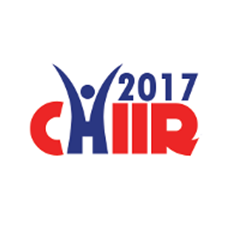 CHIIR is an annual conference taking place in March. The conference alternates between North America and Europe.